The Minister of Labour, Community Affairs and Sports Lovitta Foggo today congratulated Bermuda's Sakari Famous on breaking the National Indoor Women’s High Jump Record over the weekend. 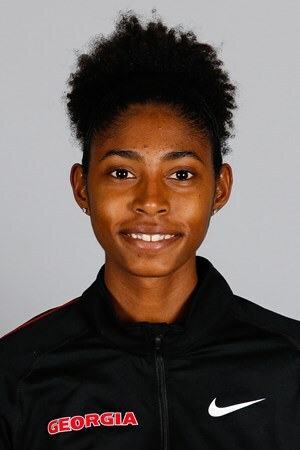 Famousi, a multiple time Carifta medalist, was representing the University of Georgia at the UAB Blazer Invitational in the CrossPlex facility in Birmingham, Alabama when she cleared 1.77m on her second attempt, breaking the National Indoor Women’s High Jump Record that was previously held by Latroya Darrell at a height of 1.72m. Minister Foggo said, "I would like to congratulate Sakari on her achievement over the weekend. She continues to shine on the international stage and make us all proud. I look forward to watching her progress and continue on her record-breaking streak!"